Ahh, Rolls-Royce, a name synonymous with the epitome of British engineering; a name tied to fine motorcars, the moneyed life and, well, aircraft engines. The latest bespoke Phantom combines the two worlds flawlessly with precision, class, style, and grace. It also comes laden with a price tag the size of a house in Valencia. It’s the rolling, moving ideal of Veblen Goods. 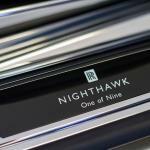 Based on the Phantom Drophead Coupé—which is a more elegant British way of saying two door convertible—the Nighthawk comes as a limited special edition model and yes we do mean limited, as just nine Nighthawk Phantoms will be produced. The Nighthawk comes specifically aimed at the North American market, and it seems they’ve taken a play out of Henry Ford’s book, as the Nighthawk can be had in any color as long as it’s “Diamond Black.” The interior is a phantasmagoria of carbon fiber, piano black, and some sweet hot spur red piping on the seats; this Nighthawk was made to emulate the sleek styling of a stealth aircraft. The carbon fiber dashboard and matte black hood give the Nighthawk a more aggressive aura than usually seen on a Rolls, as even the gauge faces and the clock have that same color story—a carbon finish and matching red indicator needle—seen throughout the Nighthawk. This definitely gives the Nighthawk a bit more of a stealthy flare than we’ve grown used to from the Spirit of Ecstasy, but it definitely spices this Phantom. Only Rolls-Royce would go to such lengths to make the understated seem so bling. In line with that company tradition, you just get that feel that even the most insignificant switch has been specially engineered and ergonomically designed by a team of absolute perfectionists with you, and only you, in mind. Nothing about a Rolls-Royce feels thrown together or built mindlessly, and every detail has a purpose. 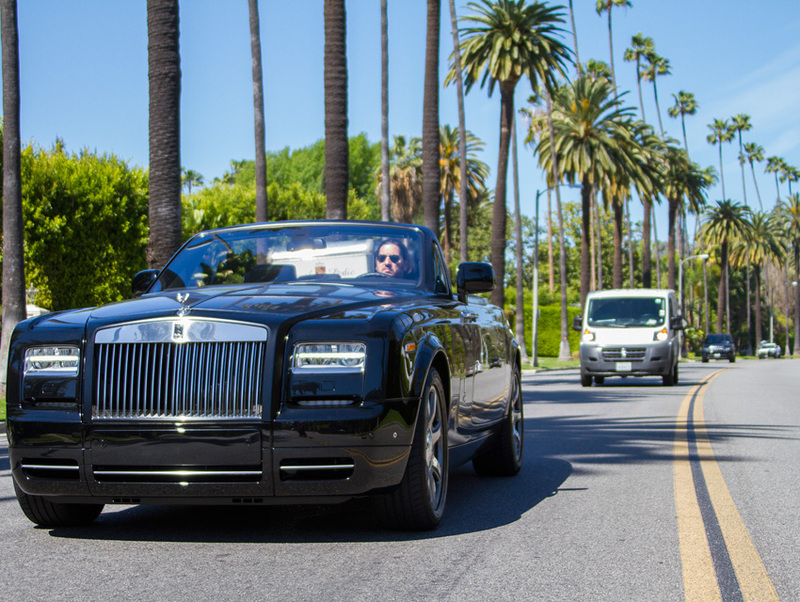 Driving a Rolls-Royce, especially one of this rare magnitude makes you feels special— which, I guess is the point when you spend $570,000 on a car and, in my opinion, nothing says luxury quite like peering out over that long bonnet or gracefully egressing from behind one of those hefty push-button suicide doors. Aside from styling cues, the specifications are standard Phantom Drophead—as if “standard” could ever be used in relation to a Rolls-Royce. Powered by the infamous six and three-quarter liter V12, the Nighthawk produces over 450 horsepower and 530 foot pounds of torque and has enough grunt to move “swiftly” for such a three-ton beast. That said, this is a fine motorcar after all and, I may remind you, the Nighthawk is designed for cruising the boulevard and best suited for the wide streets and gentle Hills of Beverly. The only other sensation I can think of would be captaining a custom Riva Open Boat in open waters. 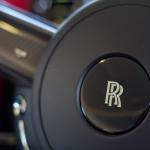 The disconnect from the mundane and frustration of daily driving is where Rolls-Royce differentiates itself from the competition, although RR would never admit their “motorcars” could be comparable to mere “luxury cars” and, I gander, neither should we. Jon Alain Guzik is the luxury car columnist for Los Angeles magazine. He is the founder and EIC at DriveApart.com and dreams of owning a Riva to call his own. For more of Jon’s writing on bikes and cars, go to RideApart.com.